Why would I need self storage in Coppell, TX? There are a variety of reasons why you might need self-storage in Coppell, TX. How much is a storage unit in Coppell, TX? The cheapest storage unit in Coppell, TX is $32.00 per month. What size storage units do you have available in Coppell, TX? In Coppell, TX we have sizes that range from 5'x5' to 10'x40' to suit your storage needs. How much is it for a 5'x5' storage unit in Coppell, TX? The cheapest 5'x5' storage unit in Coppell, TX is $32.00 per month. Coppell is a thriving suburb tucked in the northwest corner of Dallas County, home to a growing population that's made up primarily of young families. Just 20 miles from Dallas, Coppell is a bedroom community of the larger city, serving as a comfortable home base for many working professionals. 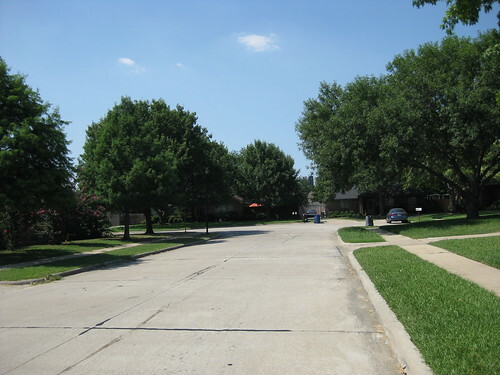 Many people think of Coppell as a young city because it wasn't incorporated until 1955. However, the town's roots actually date back to the late 1800s. Before Coppell became an official town, a group of settlers were living in the area known as Grapevine Springs during the 1830s. Today, Coppell residents know the area as Grapevine Springs Park. By 1873, Dallas had become an organized city and more people had moved to Grapevine Springs. By then, residents were calling it Gibbs, after the state's lieutenant governor. Gibbs thrived as a farming community, thanks to its access to a large railroad. The town continued to grow, attracting more residents and businesses, and its name was officially changed to Coppell in 1892. Today, there isn't much farmland left in Coppell, but there are thousands of homes for people who want to live and work in the greater Dallas area. The Coppell job market benefits significantly from the city's close proximity to the Dallas-Fort Worth Airport. This convenient location attracts companies small and large to Coppell, which in turn results in excellent local job prospects. It's a popular spot for large shipping and distribution facilities, including operations belonging to Amazon, Cici's Pizza, the Container Store, Lucent and Samsung. If none of the local jobs in Coppell is a good fit, you can make the relatively easy commute to Dallas. The larger city is less than a half-hour away, and it has a large and diverse economy that provides a full range of job options in many industries. Public schools in Coppell are under the jurisdiction of the Coppell Independent School District. In addition to its traditional campuses, it also runs a project-based learning high school and an alternative school with classes for all ages. Private schools include Montessori, parochial and other options. Utilities: Major utilities companies in Coppell include the Coppell Utility Operations Division and Atmos Energy. Because Texas maintains a deregulated electricity market, you have the freedom to choose your electricity provider from those that serve your area. Garbage and Recycling: Republic Services facilitates trash and recycling collection services. Transportation: Dallas Area Regional Transit (DART) operates a public transportation network throughout the greater metro area. Most of the city's residential real estate is devoted to single-family homes, although there are some apartment buildings and condos available. Architectural styles tend to vary by neighborhood, so there's plenty to choose from no matter what your preference. Prices are considerably higher than the national average and are also more expensive than the Dallas average. Our lowest priced units in Coppell, TX average $58.50 per month. 87 people have reserved units in Coppell, TX in the past 30 days. There are 2 locations within Coppell, TX's city limits. There are 2 locations in Coppell, TX that offer AC and Heating features.